May 26th For Digital Release and June 9th for CDs in Stores! 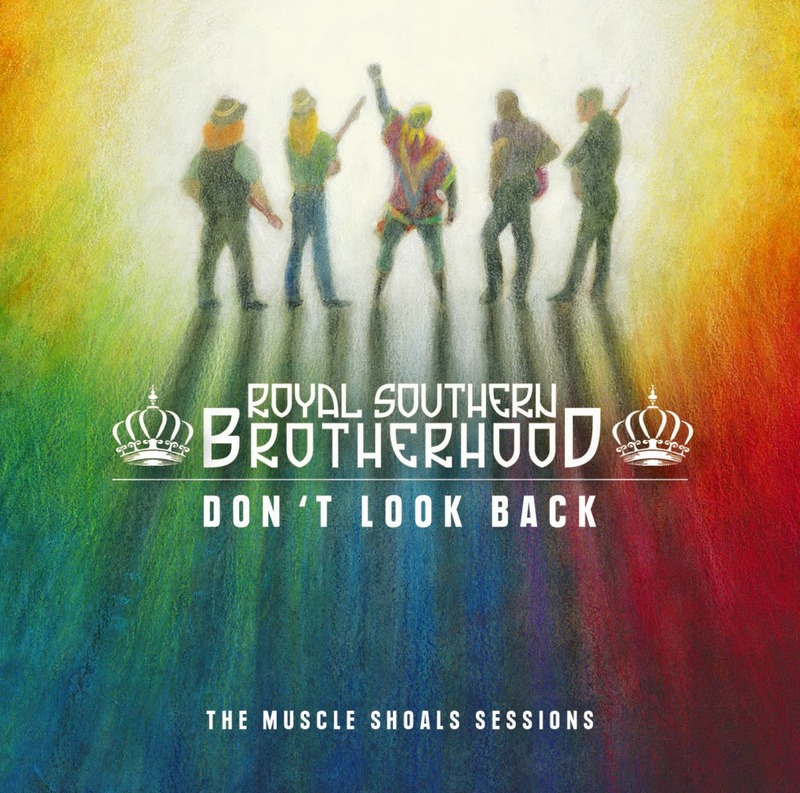 Atlanta, GA – Ruf Records recording group, Royal Southern Brotherhood (RSB) preps for their much anticipated third studio album, Don’t Look Back: The Muscle Shoals Sessions for two opportunities for fans May 26th for online stores to download and then June 9th in the record store bins. 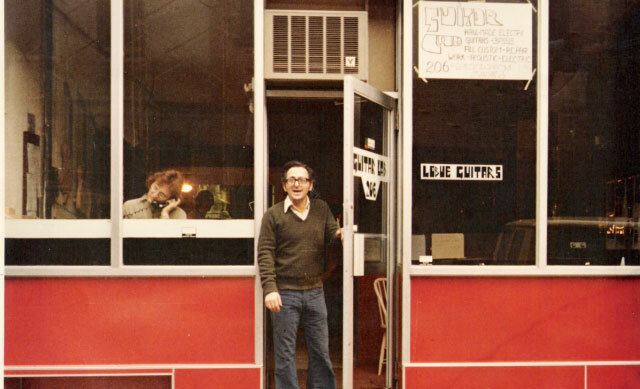 This album was recorded at the legendary FAME Studios (est. 1960 - Aretha Franklin, Little Richard, Wilson Pickett, Etta James, Otis Redding) in Muscle Shoals, AL with Grammy award-winning producer Tom Hambridge and the band’s new guitar lineup as Cyril Neville leads the charge forward. Don’t Look Back is a spiritual journey that only Cyril Neville can lead. The elite percussionist’s experiences combined with these talented, energetic players create a new sound that remains reverent to the blues traditions. This highlights the magic that happens when great songs are performed by great bands. The energy and excitement was not lost on the rest of the band. The process began when the band gathered at a rented house along the Tennessee River. The river is famous for the singing-like sounds it makes as the waves lap against the shores. According to the legend of The Singing River, which is associated with the Yuchie tribe, it is believed the flowing waters sounded like a woman singing. The time in the rented house not only inspired much of the material, it allowed the band to develop the chemistry that separates a band from a group of musicians. For their third effort, RSB brought in two new fiery guitar slingers, Bart Walker and Tyrone Vaughan, to breathe new energy into the band's sound. The new blood is there to help the venerable Cyril Neville on percussion and vocals with the thunderous rhythm section of Yonrico Scott and Charlie Wooton to up the funk while maintaining the blues and rock that has brought Royal Southern Brotherhood a growing, worldwide audience. The constant touring and recording has paid off: in 2014, the band won a Blues Music Award for BEST DVD for Songs From The Road – Live In Germany. 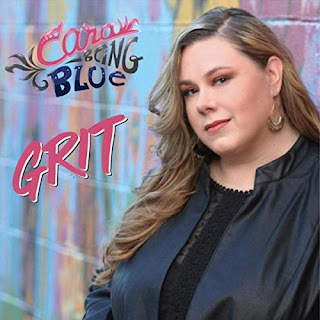 This year they are nominated for BEST ROCK BLUES ALBUM for their sophomore effort, heartsoulblood and that will be decided in Memphis at the Blues Music Awards held in May. 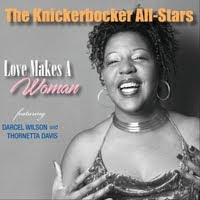 Songs like “Big Greasy” recalls old school funk and Go-Go music, a sparse “Anchor Me” is a tender love ballad while the Neville autobiographical “Hell or High Water” is filled with the showman’s life and its struggles. The banjo-tinged title track, “Don’t Look Back” which is sung by Bart, brings in a country texture to give it a traveling feel. All these great songs came from various places as the band toured. Whether it was a sound check in the mid-west or a cheap hotel lobby or some studio in Europe, the band fleshed out their ideas (often recorded on their cell phones), so they had structure and hooks worked out before reaching FAME. This allowed the band and Hambridge to concentrate on performance instead of spending time developing ideas. The other cats on tape are Dumpstaphunk’s Ivan Neville on keyboards/organ and the legendary Jimmy Hall on harp scattered about adding flare to the tunes. Bart Walker, with his tinted glasses and curly hair, has a powerhouse voice that cuts through the music. Classically trained as a formal opera singer, Walker hails from the Nashville area and he spent time in both Mike Farris from The Screamin’ Cheetah Willies and Reese Wynans (and old SRV bandmate) musical outfits. His 2013 release, Waiting On Daylight, garnered both national and international acclaim. This attention gave Bart the cache to see a lot of the world via Ruf Records President’s, Blues Caravan Tour, which spotlights new talent to sizable audiences. Now a seasoned player, Walker was ready and able to join the Brotherhood. “Joining RSB was the best idea anyone had for me,” said the affable Walker. This was Tyrone Vaughan’s second time collectively playing with the others and he fell into place as if he were a longtime bandmate. Being the son of Jimmie Vaughan and the nephew of the iconic SRV can be a heavy burden to bear. Fortunately, Tyrone is unaffected by the adulation for his family, and developed his own gifted style and signature tone. Tyrone cut his own path by working his way up through the Austin (a town drenched in guitar heroes for the uninitiated) club scene in his teens, eventually packing clubs around Texas. Through hard work, studying the masters and a tip or two from the family, Tyrone has developed a soulful voice along with a guitar tone that mixes blues, rock and country. As for the 65-year-old Neville, a world-renowned percussionist has long been considered New Orleans royalty for his stints in the Grammy Award winning Neville Brothers, Galactic and The Meters. Neville’s career has spawned 45 some odd years and has included performances with music icons such as Bono, Joan Baez, Dr. John and Tab Benoit. His philosophical beliefs and activist voice blend effortlessly when Cyril sits down to write. His intuition to the world and people are reflected within his soulful singing voice which creates a magnetic force between the listener and him. In 1989, Cyril penned “Sister Rosa,” about the Civil Rights icon, Rosa Parks. USA Today honored Neville by choosing the song as one of the most inspirational songs about Martin Luther King’s, “I Have A Dream,” speech on the 50th anniversary of the historical oration given during the march on Washington (Parks was in attendance). “Sister Rosa” may not have had a change on the movement at the time, but Neville’s composition reminded a country of the thousands of souls that risked their lives to bring an end to a shameful tradition in the U.S. This past year, Cyril found himself being interviewed by another drummer, Dave Grohl, of the Foo Fighters, for the “Sonic Highways” documentary on HBO. This eight-part series that followed the Foo Fighters around to various US cities, capturing the music scene and history that is unique to that city. Grohl, who directed the series, interviewed other Nawlins luminaries Dr. John, Allen Toussaint and Troy “Trombone Shorty” Andrews to gain an understanding of the Crescent City’s unique musical sound. Cyril will lead the charge into the next Royal Southern Brotherhood crusade with this new album, Don’t Look Back with eyes narrowed. And just like John Hiatt says, “They are not a band, they are an extravaganza!” A sound and sight event of pure talent mixed in with love for their art, the music and their fans, the Loyal Royals. The band will be in full touring mode throughout the year with radio and media campaigns behind them.